TOWNHOUSE … "WATERFORD" ON THE RIVER ... 3 BEDROOM ...BEST BUY !!! Walking distance to JCU, Hospital, Riverside Tavern and river, the location is tops. Enjoy sitting on your rear courtyard overlooking the serene grounds. This Contemporary and most stylish townhouse is ideal for Uni students, investment or for a couple – It’s your call !! 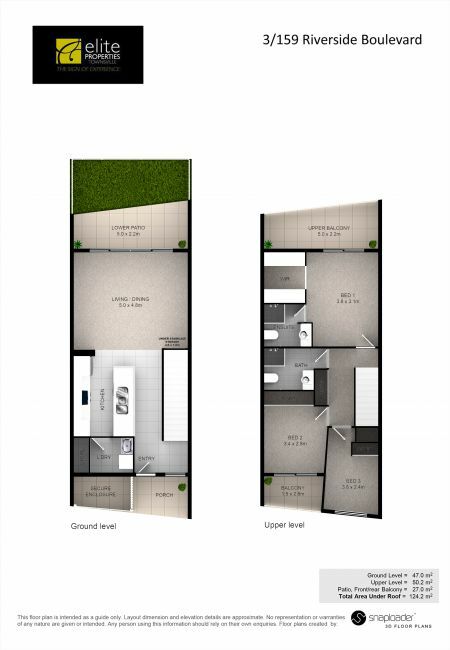 Fully airconditioned, 3 bedrooms, master ensuite, private balcony overlooking the tree tops. Residents have access to the luxury inground pool and BBQ area surrounded by natural bushland. The setting here is fantastic and the price is “Fabulous” Low Body Corp !!! I like that !! !